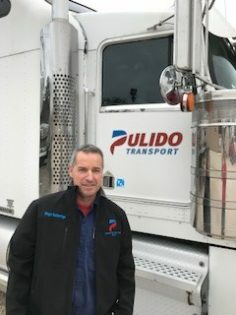 Pulido Transport congratulates Diego Saldarriaga, our 2017 Driver of the Year. 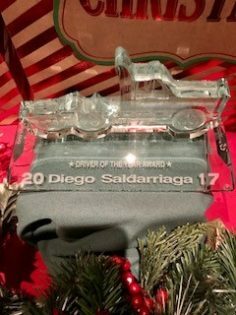 The Company celebrated and presented the award on December 1 at its Christmas dinner. During the year, Diego has completed 110 loads driving over 92,000 miles without any DOT violations and accidents. Diego is an incredibly dependable driver safely picking up and delivering loads throughout the year on a timely basis for our customers. It is drivers such as Diego that allow us to provide excellent service to our customers in the safest manner possible. Pulido Transport’s insurance representative Michael McDonald, Director Business Development with Warriner & Associates Insurance, Inc., attended and presented the Driver of the Year award.